Before I start counting down the trends of the runways, I have to say that I am very impressed by the amount of work the couture fashion houses have done—and the amount of dollars that have sunk. Every piece was sewn by hand and followed by strict regulations, that of the Chambre Syndicale de la Haute Couture, an organization that dates to 1868. (Since then it has altered and loosen up some of its regulations) I was pleased once again to discover the Chanel catwalk venue, Mr karl Lagerfeld has even branded his haute couture venue shows. Nevertheless, I wasn’t surprised by the recurrent Versace never-evolving style. 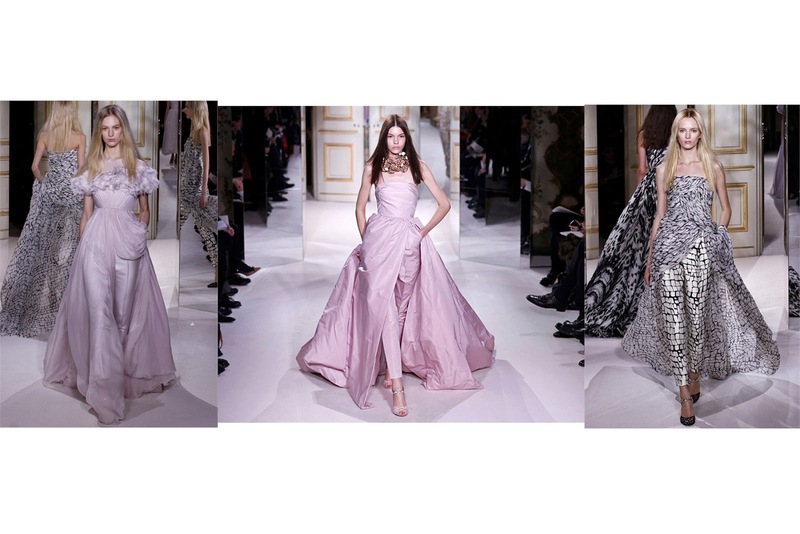 From left to right: Atelier Versace, Christian Dior, Giambattista Valli, Chanel. Micro trend: Tuxedo pants underneath the dress. From left to right: Chanel, Zuhair Murad, Christian Dior, Valentino. Trend#3: Organza effet cut-out trompe-oeil. 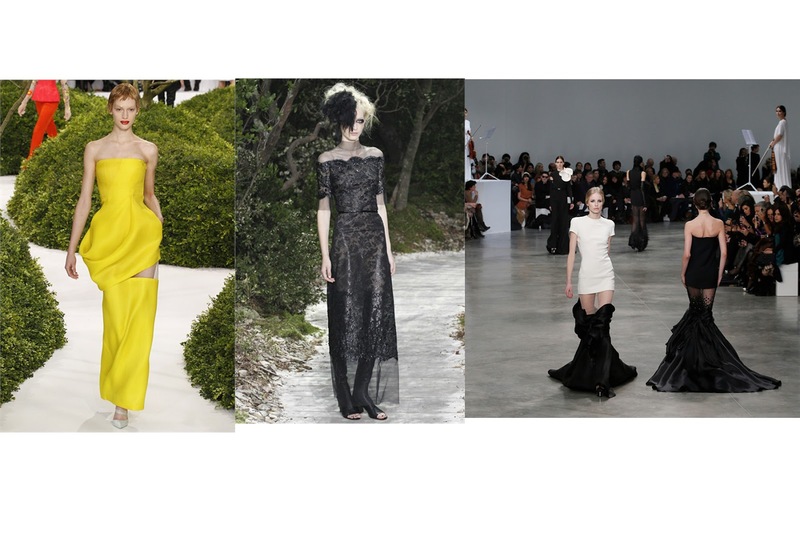 From left to right: Christian Dior, Chanel, Stephane Rolland. 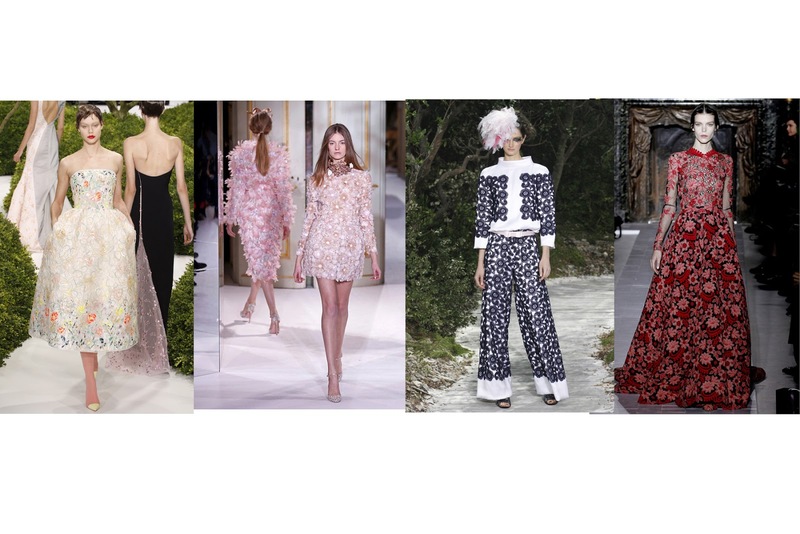 From left to right: Christian Dior, Giambattista Valli, Chanel, Valentino. 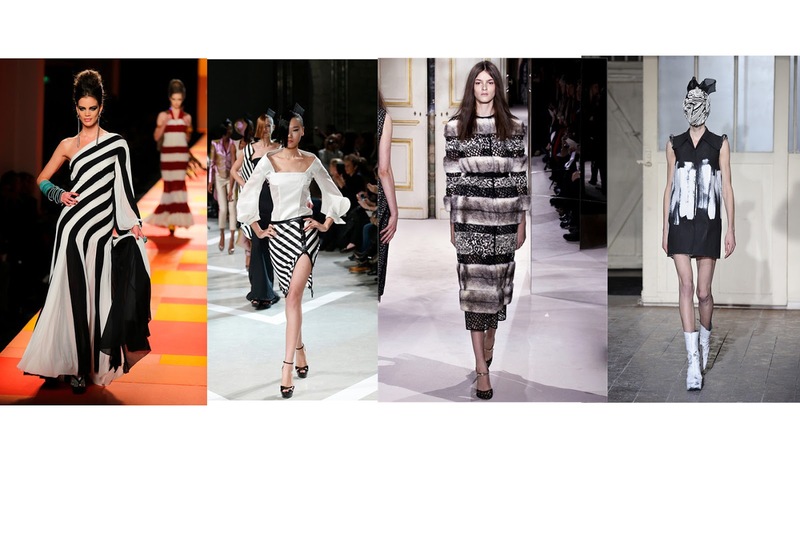 From left to right: Jean Paul Gaultier, Julien Fournie, Giambattista Valli, Maison Martin Margiela. 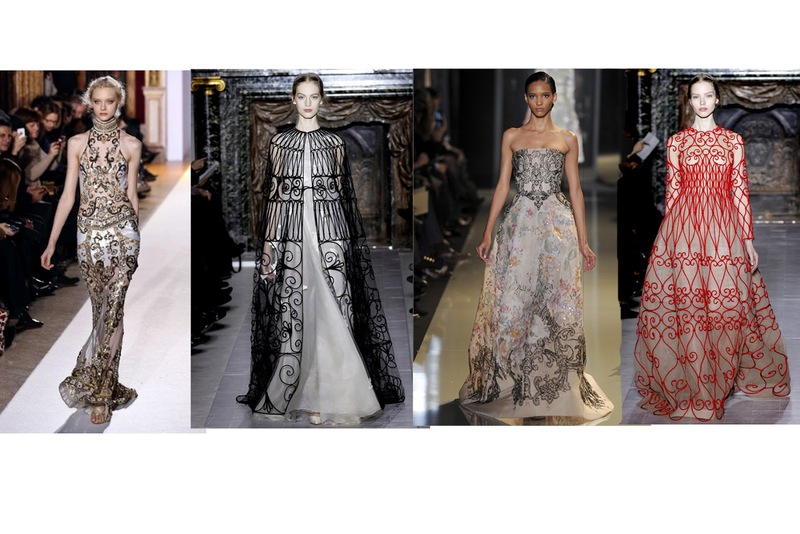 From left to right: Zuhair Murad, Valentino, Elie Saab, Valentino. 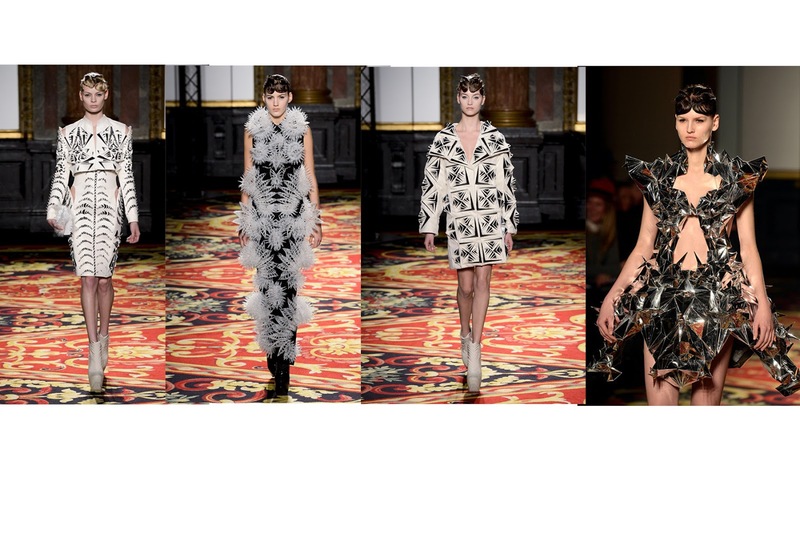 Trend#7: Iris Van Herpen, the trend herself.